Minister Denis Naughten is only in office one month & eleven days but the senior DCENR staffers appear to have convinced him that useless random Eircode is a great idea. This is despite the fact that after a spend of at least €38 million (€20 million over budget) a recent poll showed approximately 80% of people either don’t know their Eircode or don’t use it. Furthermore a CBRE report says that 96% of logistics companies are ignoring it. During the week Minister Naughten’s former predecessor in the DCENR, and the man who started the postcode tender Eamon Ryan TD, called for Eircode to be redesigned. As we know from previous experience, a bout of negative publicity regarding Eircode stirs the department’s PR guru’s into action. Sometimes they get a nod from the Irish Times and have an opinion letter published as fact. The Irish Times play their part and subsequently don’t allow any letter responses questioning the mis-truths in the original DCENR letter. This is to be expected from the Irish Times as they started the campaign in 2011 to scupper Gary Delaney’s smart postcode alternative which was backed by Garmin. The Irish Times’ Harry McGee was able to report on the 4th of January 2011 (see here) that “Several companies developing global positioning technology – notably Garmin (Loc8code) – have devised all-Ireland digital address codes that provide precise addresses. While these codes will not provide the basis for the national system, the Department of Communications said these companies were free to tender.” Can you believe what you just read. Before the tender was decided the Department of Communications saw fit to try to hole Loc8code below the water line stating that the Loc8code could not win the postcode tender. This had the effect of killing any courier industry support for the existing and proven Loc8code, damaged chances of further investment and by any measure was a corrupt intervention by a government department. So yesterday on the 16th of June 2016 the shiny (literally) new Minister for Communications (or whatever it is called now) Denis Naughten announced about Eircode that “It is saving lives today. It has saved lives over the last six months and I believe it will be a massive benefit to our health system”. Of course the minister has not backed up his statement up with any evidence, DCENR never back up anything they say about Eircode with evidence, they just put it out there and brain dead Independent & Irish Times journalists copy & paste without any critical examination. Professional Emergency Services personnel say Eircode will cost lives! Any gobshite can see that Eircode will cost lives in the case non-dwelling emergencies! The simple fact is that Eircode is 100% useless for ALL non dwelling accidents and emergencies. Perhaps constituents of Roscommon might ask Minister Naughten if there are ever any Road Traffic Accidents in Roscommon? Are there ever any farming accidents, forestry accidents, accidents at piers or harbours, swimming accidents in lakes or rivers. Does Roscommon ever have any storms that down power or telephone lines that need to be reported to utility companies. Any escaped livestock, any spot flooding any dangerous potholes? Any heart attacks on way-marked trails or hiking routes or even in public parks. For all these incidents and locations Eircode is useless…totally useless. So who do you believe? Those at the emergency services coalface, the lying senior civil servants in the Moriarty Tribunals favourite department, or an independent TD with a blue shirt happy to carry the Eircode can for his old party? Ultimately Eircode was born out of corruption and the, already discredited (Moriarty Tribunal), DCENR only open their mouths to lie, time after time. Could the Minister Naughten not see through his predecessor Pat Rabbitte when he stood up in the Dail to state that he was “not aware of any €40 million turnover limit for the postcode tender” even though it was in black and white in the final tender document? Did Minister Naughten not bother to read the European Commission report that found the Eircode tender to be unfair and contained many errors? Did alarm bells not go off when the FTAI made their submission to the Oireachtas Committee on Communications & Transport that they would not use Eircode as it was useless to them? Did Minister Naughten not pay any attention when the Eircode project overshot its budget by over 100%, it was supposed to cost €18 million but is now scheduled to cost over €38. Was Minister Naughten happy when the C&AG found that the Eircode tender had breached procurement rules and had issued multiple contracts without any tenders at all? Is the investment wasted if Eircode design is changed? Perhaps Minister Naughten thinks that changing Eircode to something smarter and more useful means that the €38 million thus spent will be wasted. I’m sure that’s what DCENR staffers are telling him. Simple fact is that code could be changed at little or no cost to a smart algorithm based code that needs no ongoing maintenance. 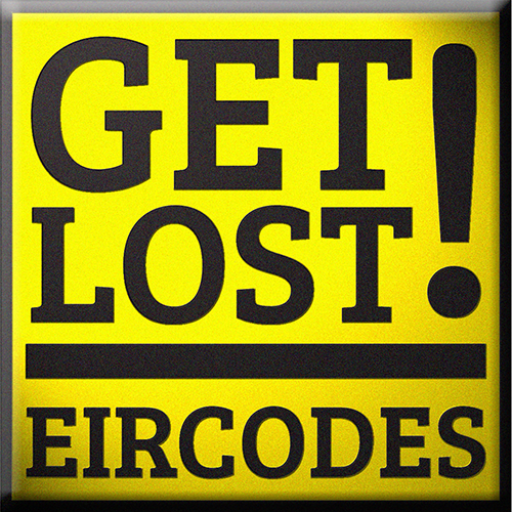 Eircode could be relegated as a PPS number for your house, a Building Identification Number if you will. Other experts in this field have put the cost of changing the code design at only €750k as most of the €38 million thus spent has been on creating and upgrading public sector databases as well as paying huge chunks of cash to An Post for use of their GeoDirectory upon which Eircode is based. Co-incidentally when Gary Delaney of Loc8code tried to purchase access to this same Geo-Directory database in 2010 An Post would not sell to him…make what you wish of that. So yes maybe the DCENR staffers are using the same approach that convinced Brian Cowens government to keep shelling out for Anglo Irish Bank…the good old “you will lose your €7 billion if you don’t pump another €33 billion into us” trick. Does Minister Naughten do logic? Minister Naughten supposedly holds a science degree, that appears to suggest he should have a logical mind so how can he support a postcode design that is random over a design that is logical & hierarchical? How can Minister Naughten, from a rural constituency, support a database derived random code that can only be used on a smartphone device if it has data connectivity. How good is 3G/4G access in Roscommon and where are the black spots for data coverage? A smart GPS & algorithm derived code such as Loc8code does not need a data connection to function at all and the “voice only” 112/999 coverage is much more widespread than any one telecom provider’s data coverage. But then again rural TDs appear to get spooked much easier than their city and suburban colleagues. Mention the words A&E, drink driving, schmoking in pubs or closing rural post offices and they run for the hills…this last point may be significant. An Post have serious clout with rural TDs, it is noticeable that there was no talk regarding the the closure of rural post offices in the run up to the last general election. Could there be some “scratchy backy” going on between rural TDs and An Post with regard to Eircode? After all An Post’s GeoDirectory is 50% owned by the Ordnance Survey but they won’t be getting almost €23 million from Eircode like An Post will? An Post never wanted and still don’t want post codes, this can be observed by the simple fact that not a single postman is equipped to use Eircode. They never wanted to allow GeoDirectory to be used for a useful postcode that threatened their monopoly on post nor their return to the parcel market. An Post held up the postcode project for almost 10 years until the timing was right. Firstly, Pat Rabbitte wanted a database derived postcode so he could use an “off the shelf billing database” to collect Labour’s (now scrapped) Broadcasting Tax! Secondly, An Post saw the opportunity with Rabbitte (& CWU) to utterly destroy Ireland’s chances of a useful postcode that would benefit competition in the parcel sector! Third, there was a general election looming and ANY mention of rural post office closures would send rural TDs into meltdown. Quietly backing Eircode meant rural TDs of all parties (& none) didn’t have to suffer this particular problem on the rural doorsteps! So did An Post spook Minister Denis Naughten or as a “scientist” does he genuinely believe that a random postcode design is superior to a modern, smart, algorithm & GPS based alternative that can TRULY SAVE LIVES….EVERYWHERE !!! Or maybe Inda or Regina has promised to take him back into Fine Gael if he does their dirty work first?? ?